At American Fence Company of Iowa, they pride themselves on making access control easy a breeze. They understand the tremendous appeal of gaining access to your home or business with just the simple push of a button. With over 100 years of combined experience in gates, operators and access controls they can do whatever you need. American Fence Company is a dealer for nearly every brand of gate operator on the market. Cantilever gate operators move your sliding gate open and closed via a chain drive or rail drive system all from the comfort of your vehicle. With telephone entry, a keypad or a simple one-button transmitter, you can make this system work just how you would like it. 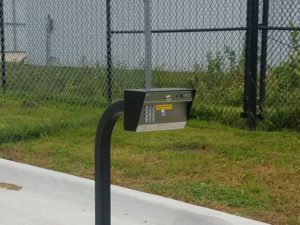 If you would like the ability to see who is requesting access, they can install a closed-circuit camera at the gate location. For easy exiting they can also install a free exit loop so all you have to do is drive over it and the gate will open. Have a swing gate you would like to automate? 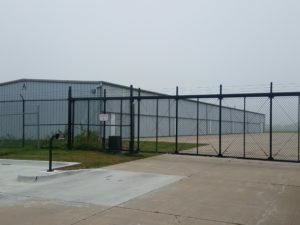 American Fence Company – Iowa can help. 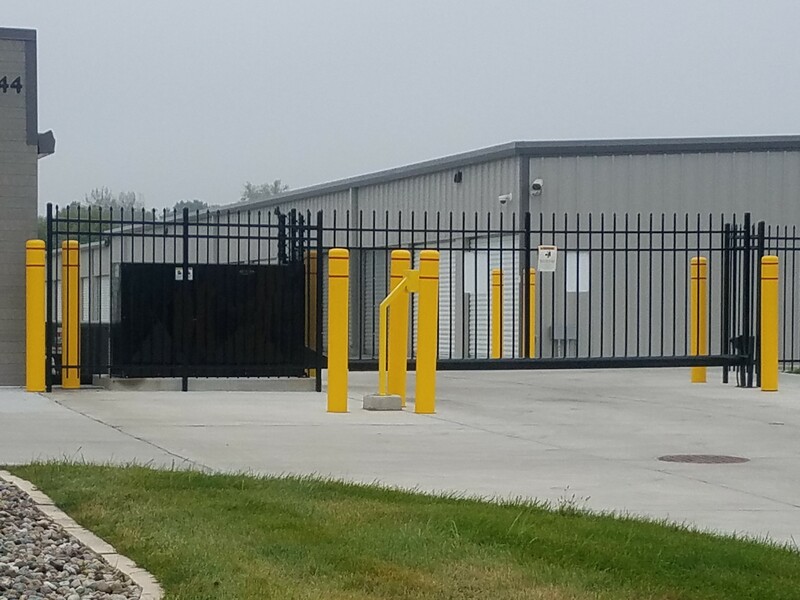 They’ve installed gates ranging from 8 feet to over 70 feet wide, so no matter your needs or specifications they are more than capable of taking your job on. Swing gate operators are available with all of the same features as a sliding gate operator, they just have a different mechanism for moving the gate. Another common gate operator type is the vertical pivot gate. These gates are especially common in areas where there is not adequate room for an opened gate like, a swing gate or cantilever gate, to be stored. This style of gate can be equipped with all of the mechanisms available on the styles of gates. Many of the gate access control options listed above are also available with a solar option. Solar can be a reasonable and economical alternative to running an electrical line to the gate location. Several variables will come into play when determining whether or not solar is a good option. The most significant factors are the amount of sunlight available in the landscape and the number of cycles the operator is expected to see. 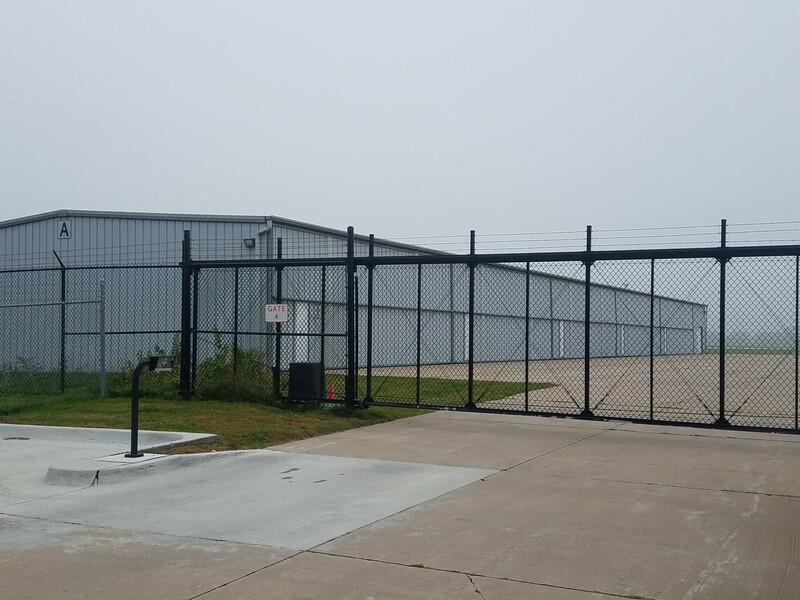 If you have any questions or would like a free quote, please call our Iowa branch at (515) 265-6100 or contact American Fence Company of Iowa today.